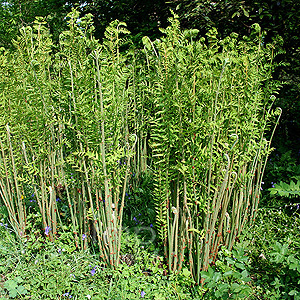 Cultivation tips: This architectural fern requires a very moist, humus rich (not clay) soil. It prefers shade but will tolerate full sun if kept moist. Mulch every spring. Good as a large container specimen.